Rev. 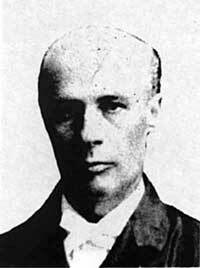 Jacob Legler served the Ebenezer church from 1899 to 1900. During his time at Ebenezer, Reverend Legler also served the Congregational church in Stafford, Oregon. Rev. Legler was among the first to attempt to establish Congregationalism among the Germans in California. In 1892, Rev. Legler, who had been a school teacher in the Volga German villages in Russia, came to Fresno to work with his countrymen in that city. He organized the Fresno Cross church which had a membership of over 2,000 people by 1936. Krieger, Joanne, trans. "History of the Ebenezer German Congregational Church." Ebenezer Congregational Church, Portland, Oregon 1909-1984. Portland, OR: 2002. 433-36. Print. Eisenach, George J. A History of the German Congregational Churches in the United States. Yankton, SD: Pioneer, 1938. 85. Print.